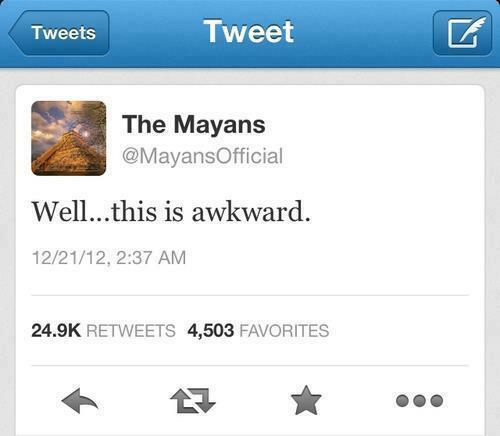 Although the Mayans predicted the end of the world in 2012, the clock struck 11:12am on December 21st and we still found ourselves alive and well. Contrary to the apocalyptic explosions we were promised, the 21st went on as quietly and uneventfully as any other. So the world didn’t end, now what? Here at Holloway Express we would hate to disappoint on the big bangs so here’s a list of five top London events, to make the coming months as explosive as possible. January: though the month is coming to an end, there is one event you just shouldn’t miss. Feast is a production, starting on the 25th, that came together through the collaboration of five internationally renowned playwrights. Based in Nigeria in the 1700s, the play follows the lives of three sisters struggling and attempting to survive various challenges they face. The play is showing at The Cut in Southbank at 7:30 pm from the 25th of January until the 23rd of February. Tickets range from between £10 to £30. Anyone interested in the arts must check out this event as soon as possible! February: one word; pancakes. The Great Spitalfields Pancake Race is taking place on the 12th this year. To celebrate Shrove Tuesday, teams will dress up in creative costumes and race across East London, starting at The Old Truman Brewery located close to Brick Lane. Teams sign up and race against each other while eating delicious pancakes. Whether you want to compete or celebrate, meet at 12:30 p.m. at the OldTruman Brewery and let the day take you from there. This event can’t be missed, as it won’t only fill your belly but your spirit. Spend the day celebrating and eating with people from all over London. If your New Year’s resolution was to do something courageous or just plain wacky, sign up with your team by contacting Alternative Arts (www.alternativearts.co.uk) and get the chance to win a prize. March: for all sports fans out there, March 10th is the day for you. What better way to enjoy this month then to watch Italy and England go head to head in a glorious rugby game at Twickenham Stadium. Tickets are still on sale at http://www.onlineticketexpress.com/. If that’s too pricey, why not try a sports bar such as The Bailey on Holloway Road, The World’s End in Camden, KICK in Shoreditch and Marquess of Anglesey in Covent Garden have all promised to show the match on game day. Tight shorts and burley men … we know the girls will want in too! Sihk New Year – Toronto. Property of Rocco Rossi. April: Even if it rains or pours and the sky turns grey, you can always add a bit of spice to your life by celebrating the Sikh New Year. On the 14th, crowds will gather together in Trafalgar Square to celebrate the holiday. What better way to enjoy the year than to keep celebrating it? There’ll be food, music and people, celebrating our humanity by honouring the London’s diversity. The event time is still to be confirmed but, if it’s anything like previous years, it’ll go on all day and into the night. The best part about it, it’s free! All can attend regardless of budget, so take your friends and family. She went on to say “this is like nothing you’ve seen before and like everything you’ll want to see again.” With a catch phrase like that, one can’t help but wonder what will go on behind the doors of Jojo’s. The best way to know is to go and find out. Ranging from sport to art to even burlesque dancing, London is filled with events this upcoming year, and these are just a few of them. Keep your eyes open for anything else that may come up, as this city is one that’s constantly on the move. Now it’s time for you to make a move, get up off the couch and go out there and celebrate the Mayan’s fortunate miscalculation! Happy 2013!